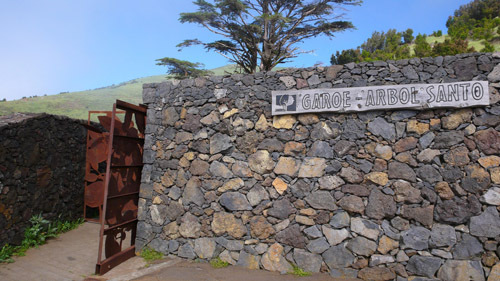 Discover the Garoé Interpretation Centre in the municipality of Valverde, in El Hierro. The Garoé Interpretation Centre, located in Valverde, El Hierro, is a good example of the struggle that the aboriginal communities of El Hierro suffered to get constant water supply. Garoé is a tree capable of store water from the wind which was then transferred to the pools where people and animals quench their thirst, it was converted into an authentic symbol of El Hierro. This interpretation center will allow you to discover Garoé, as well as information on this natural phenomenon of horizontal rain, cultural richness and archaeology of this island. On Sundays from 11am till 2pm.